On Friday, April 5, Joan Masley went home to be with her Lord and Savior, surrounded by her loved ones. 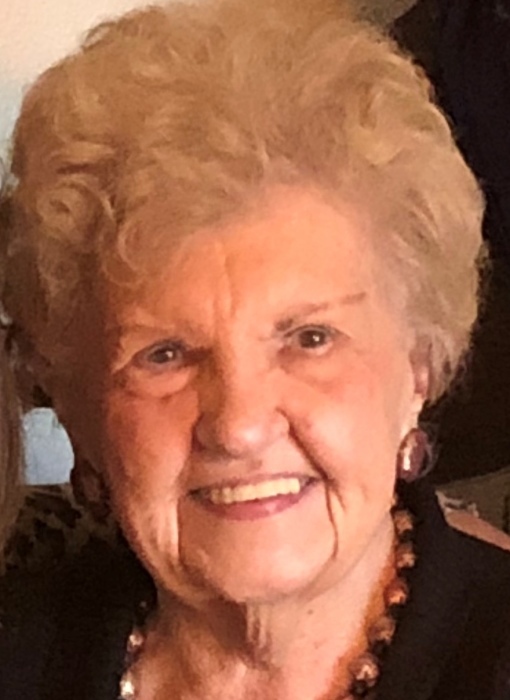 Born on January 30, 1934 to the late Joseph and Margaret Pastirik, Joan was raised in Streator and grew up in a family filled with love and laughter. In 1953 Joan married Daniel T. Masley of Streator. Together they had 3 beautiful children; Daniel, Jeannine, and Beverly. Joan had an unwavering faith in God and possessed a true servant’s heart. Joan loved to love on people and faithfully cared for family and friends through her delicious cooking and baking from scratch, knitting and crocheting. A woman of faith and the heart of the Masley family, Joan shaped their spirituality by her tireless Christian example. Her life was a living example of, Ephesians 4:32 – “And be kind and compassionate to one another, forgiving one another, just as God also forgave you in Christ”. Joan had a true love of life and people. She spent her time serving others, praying, reading, journaling, and leading bible study and Sunday school. When Joan was with her family she spent her time playing cards, chatting and the occasional fishing trip to Feken’s pond. Joan was proceeded in death by her father; Joseph Pastirik, Mother; Margaret (Soltis) Pastirik, Sister: Charlotte Simko, and four brothers; Jerry Pastirik, Gene Pastirik, Lawrence Pastirik, and Leon Pastirik. Please join us celebrating her life Monday, April 8, 2019 at New Beginnings Baptist Chruch for a visitation beginning at 10:00 am until 12:00 pm. Funeral services will be at 12:00 pm Monday, at the church. Private family burial will follow at Moon Point Cemetery.